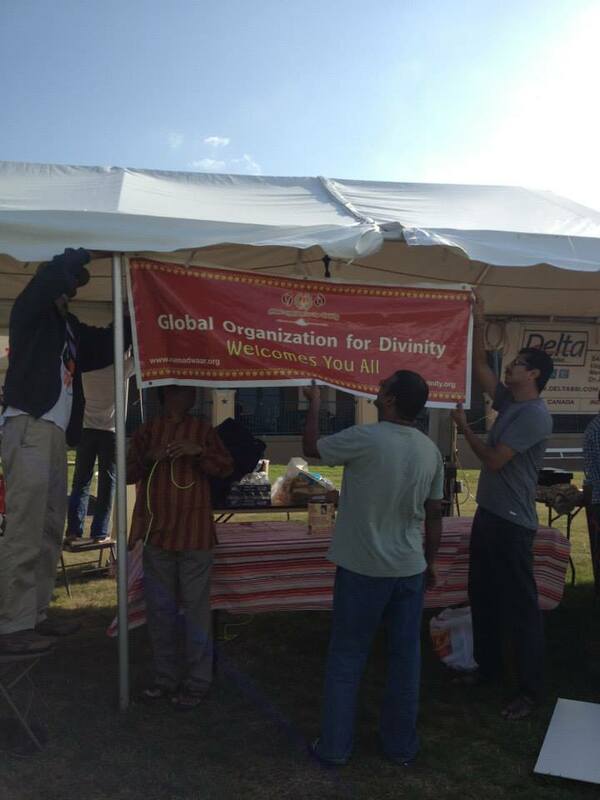 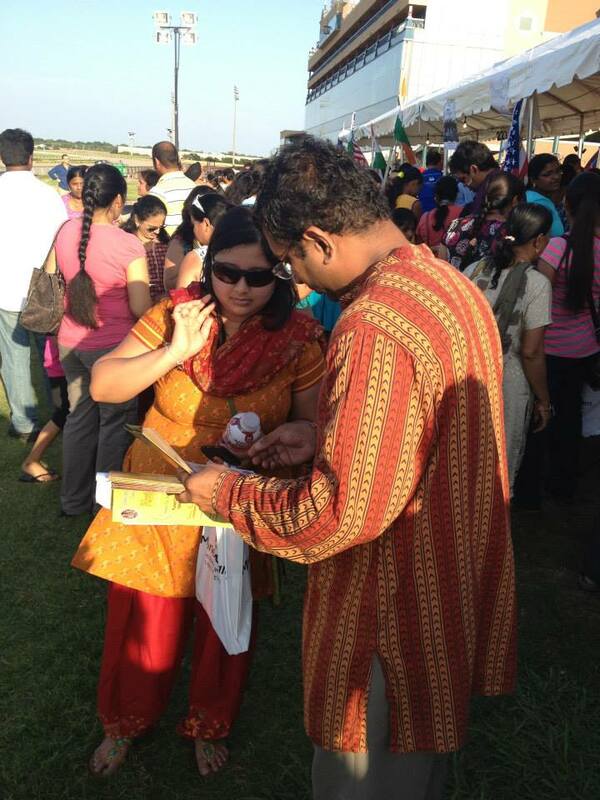 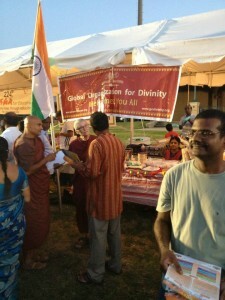 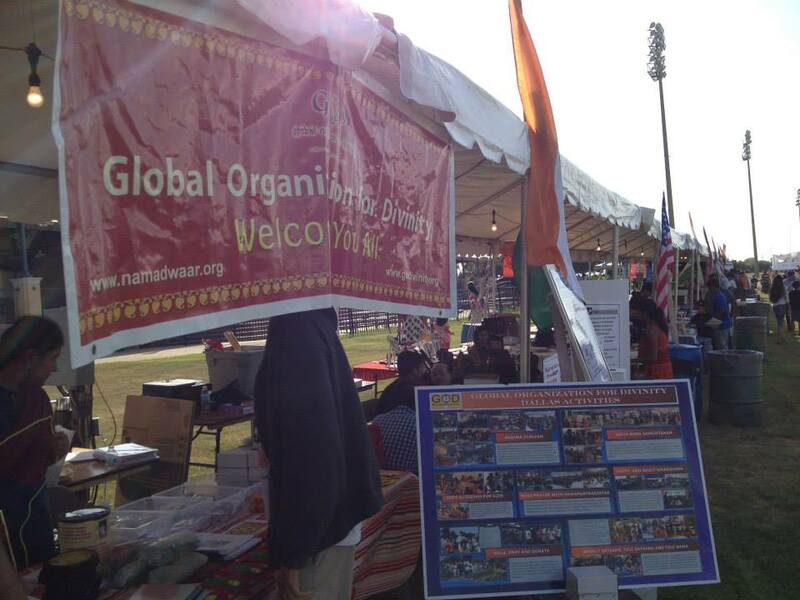 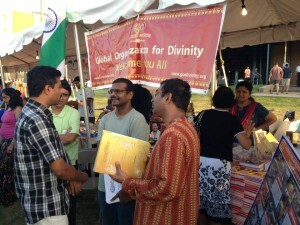 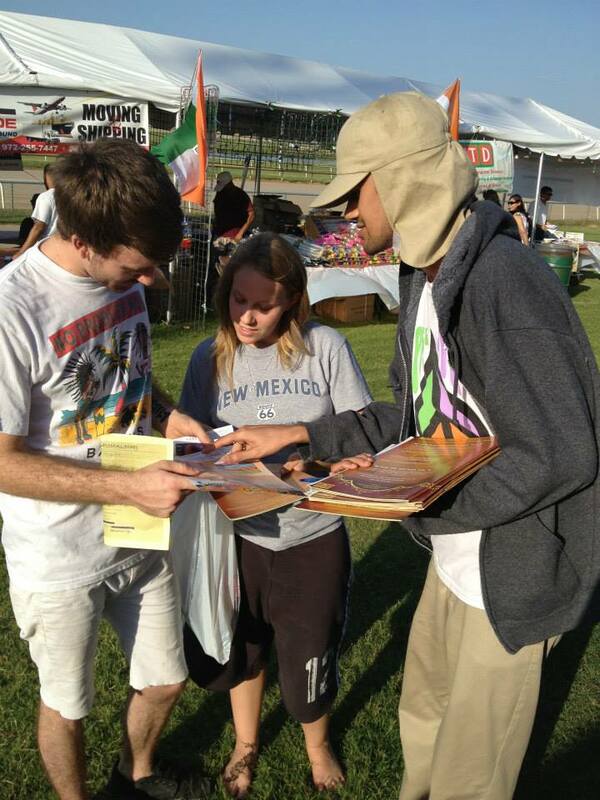 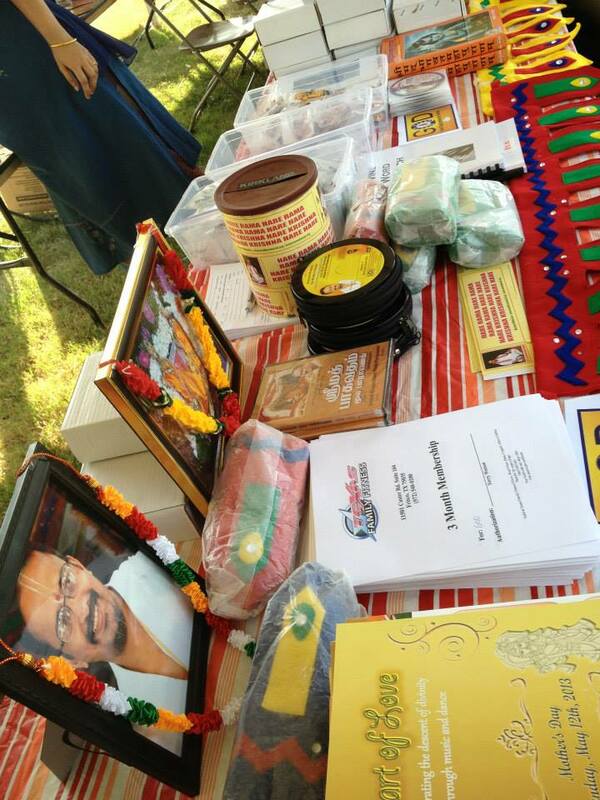 Dallas GOD Satsang got a wonderful opportunity to spread the divine name to many during the annual Indian Independence Day Celebrations in Grand Prairie, TX on Sunday, August 11th 2013. 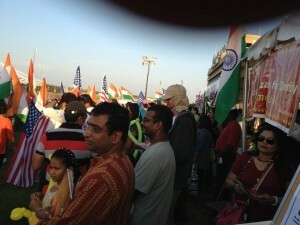 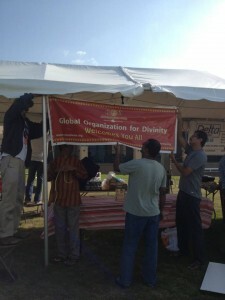 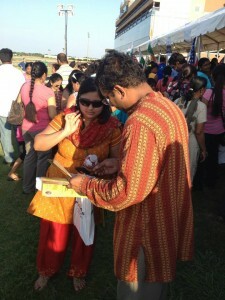 People from different nationalities and cultural background thronged the ‘Anand Bazaar’ mela. 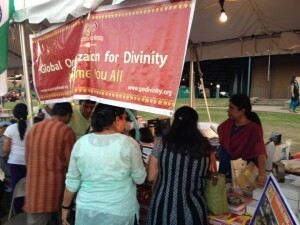 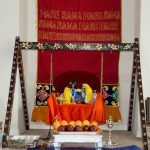 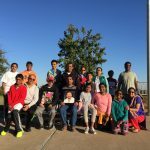 This gave Dallas GOD satsang members a wonderful launch pad to re-instill the glory of the divine Mahamantra in the hearts of all the people and also to promote GOD Satsang activities and to showcase and sell many GOD artifacts. 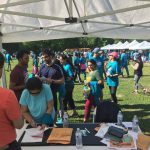 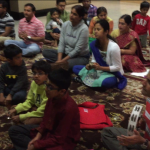 Dallas GOD Satsang members started off the stall proceedings on a divine note by chanting the Mahamantra 11 times and thanking Sri Swamiji for bestowing them with yet another day of service. 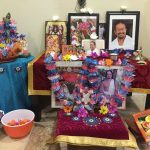 Within a span of a few hours, GOD team had handed over nearly 1000 souvenirs that highlights GOD satsang details, sold Chanting boxes, jewelry/festoons handmade by satsang members and to top it all, made many new folks chant the Mahamantra. 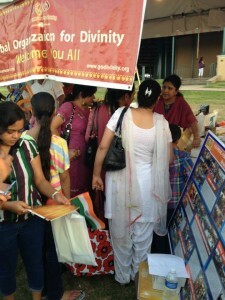 Can there be any other wonderful way to celebrate Independence Day than to serve the Holy Feet that has descended to bestow everyone with eternal independence?